The resort was so simple then. But when I had the opportunity to visit the place last year, I was happy of the improvements I saw. They removed the souvenir shop and made the area a viewing and listening deck. They refurbished the rooms, added four additional rooms and dorm type accommodations, and a cute kids park. They still have the floating restaurant and the logo is still a big tilapia (but they changed the color) however the restaurant was way better compared to 8 years ago. The food was still amazing. 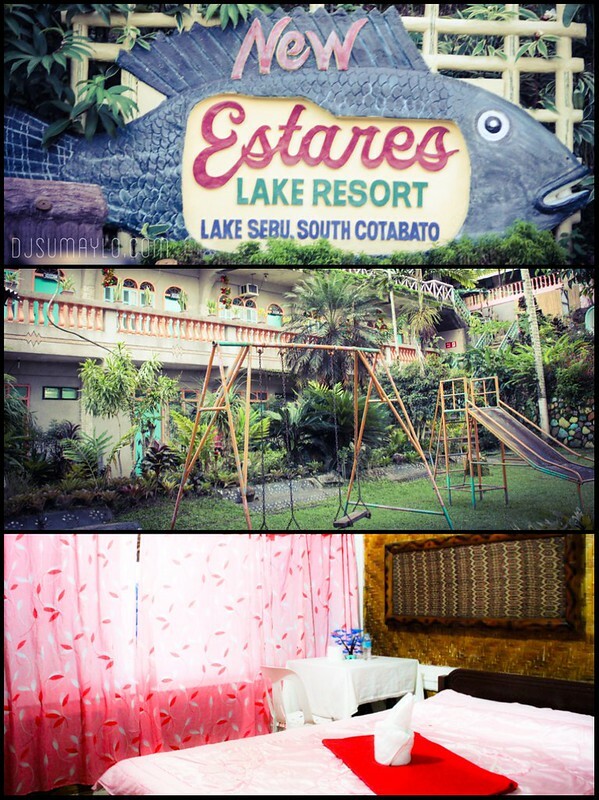 Afterall, Estares was the first resort in Lake Sebu established in 1992. My personal favorites were tilapia ceviche and the pinalipad na tilapia. Although most resorts in Lake Sebu offers crispy tilapia, only Estares served it without the kropek. Room rates were very reasonable. The resort offers rooms from 450-700 per night or roughly US$10.50-16.50. The dorm type accommodation will cost you 150/head or roughly $3.50/head. The dorm room can also accommodate 18 people at once. However, prices vary specially during peaks months. Your usual 500/day lean month accommodation will cost 650/day during peak months. Lean months are usually January to March and June to August while peak months are April to May and September to December. They have this tree at the resort where most of the birds go between 5:00-6:00AM or at 5:45-6:00PM. That is the reason why they offer not just a view deck but a listening deck as well. So what’s stopping you now from enjoying Lake Sebu? For booking and reservations, you may send them at email at estares01lakeresort@yahoo.com or you can reach them at the following numbers: +63948-489-5385 or at +6383-236-1054. Ms. Mary Queen Hearty Estares-Ramping currently manages the resort.